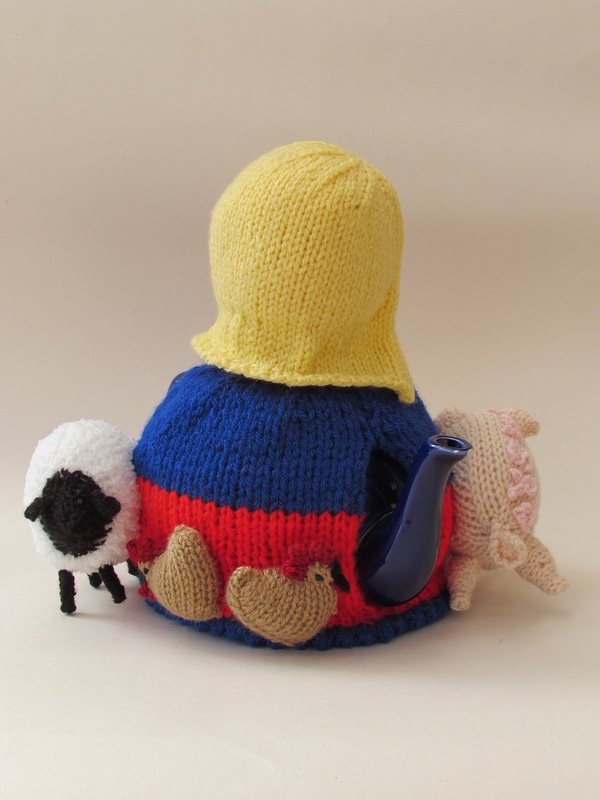 I was asked to knit a tea cosy for a thank you to a lady for being the local clubs chairman and secretary. 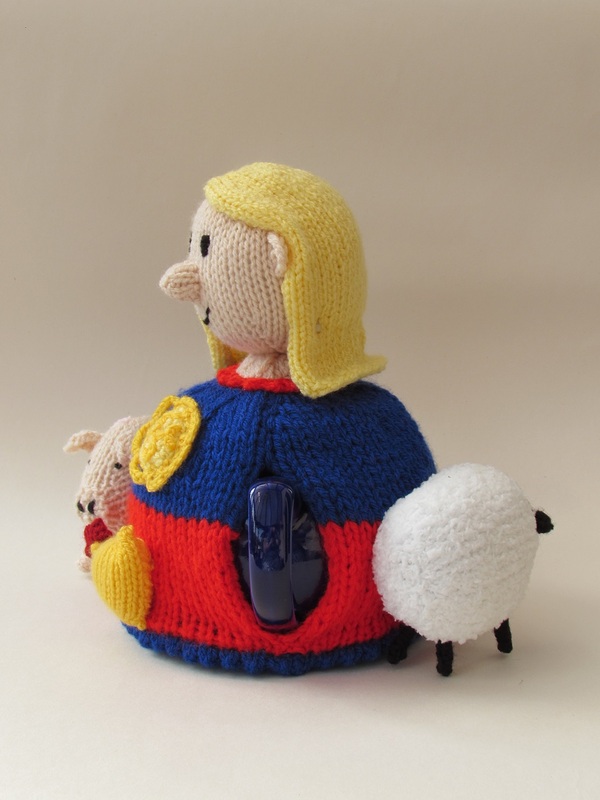 Being part of The National Federation of Young Farmers the cosy took on a farming theme as well as looking like the lady it was to be presented to. 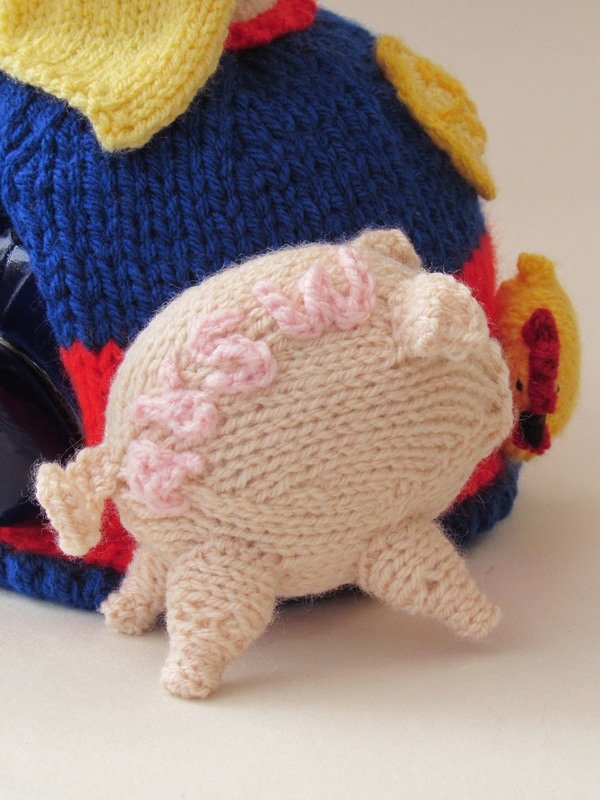 It also had to have the club colours, the club logo and the initials A & SW which I branded onto the pigs back. 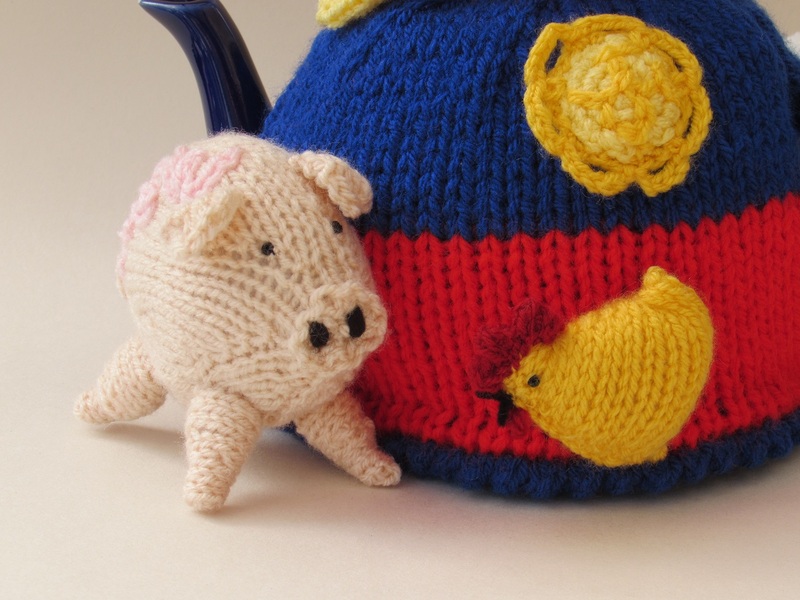 The tea cosy not only features a pig but also a sheep and chickens. 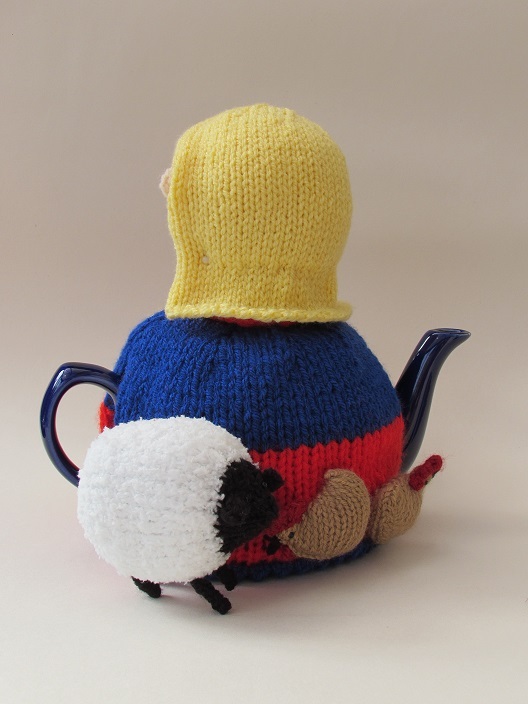 A lovely farmyard tea cosy. 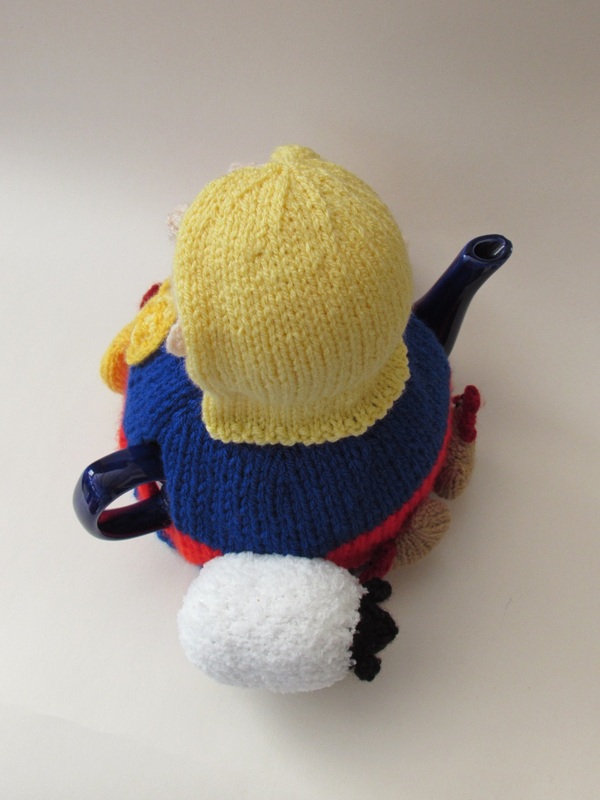 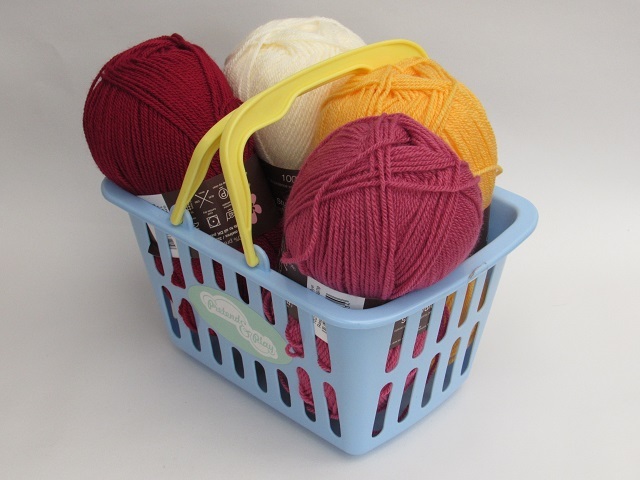 The customer said, "The tea cosy is fantastic and my friend loved it. You clearly put a lot of work in. 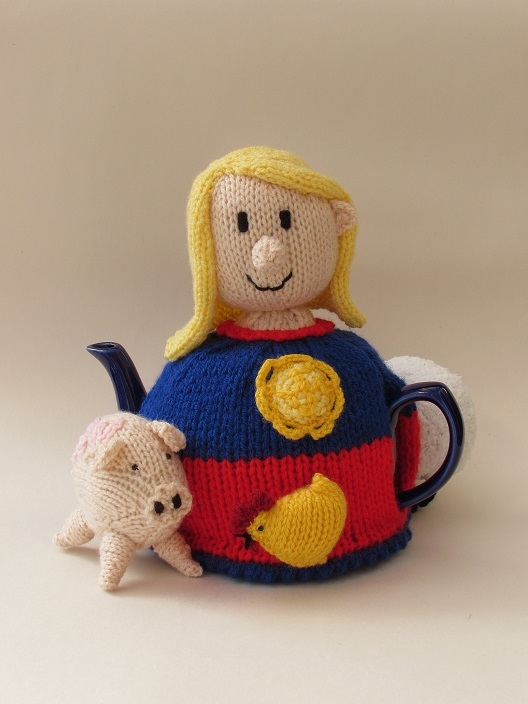 The quality and likeness of her and the animals is brilliant." 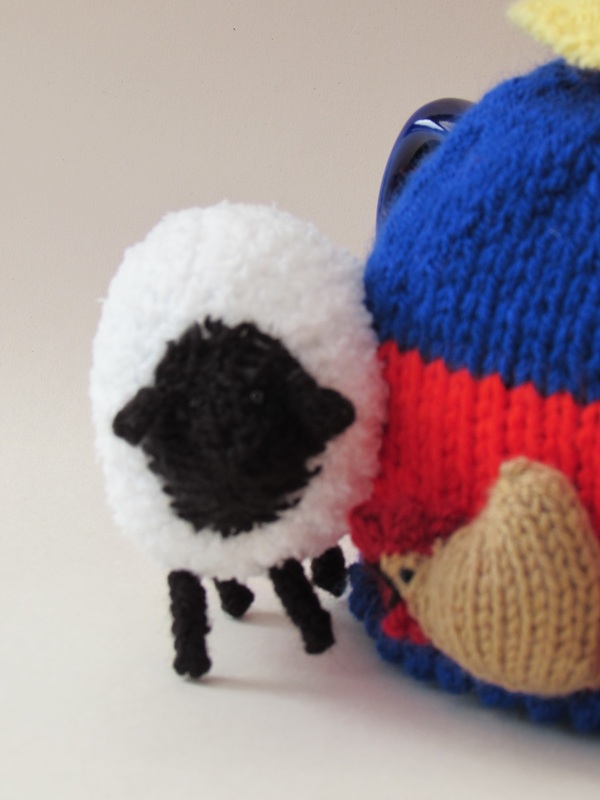 When you're down on the Farm you need a hot cup of tea - farming is thirsty work! 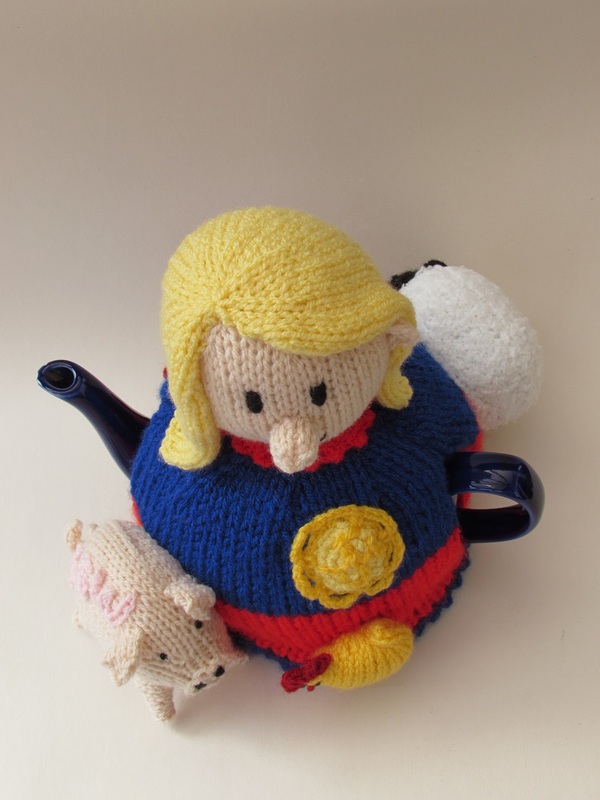 This item was a bespoke design so no pattern available.